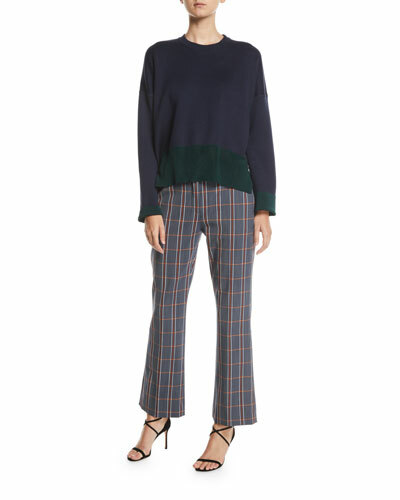 The precision cuts, appealingly offbeat print and color combinations and subtly surprising details of Cédric Charlier's women's ready-to-wear is a product of his vaunted fashion background. Raised in Belgium, with its rich history of avant garde design, he worked under some of the most notable designers - Michael Kors at Céline and Alber Elbaz at Lanvin - before going out on his own in 2012. 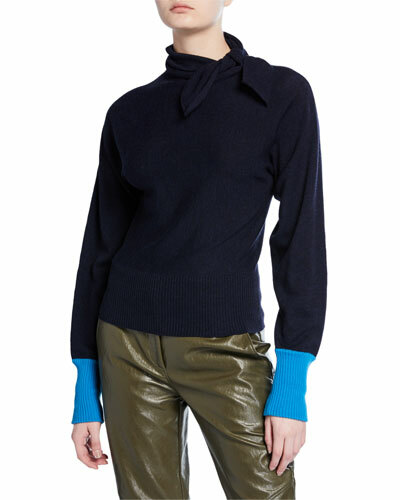 Cédric Charlier founded his eponymous collection in 2012 after gaining experience at some of the top fashion houses in Paris. 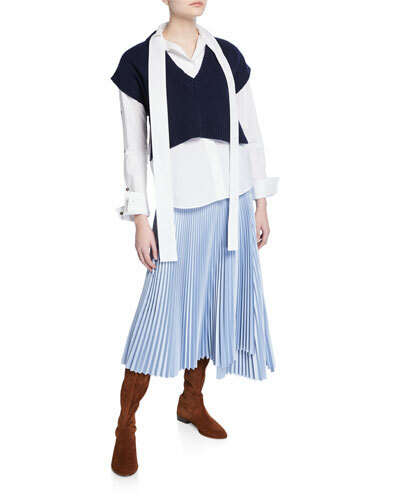 Cut and color are the foundations of Charlier’s design philosophy, using bold and unexpected hues and finely tailored silhouettes to bring his dresses, coats, pants, and knits to life. 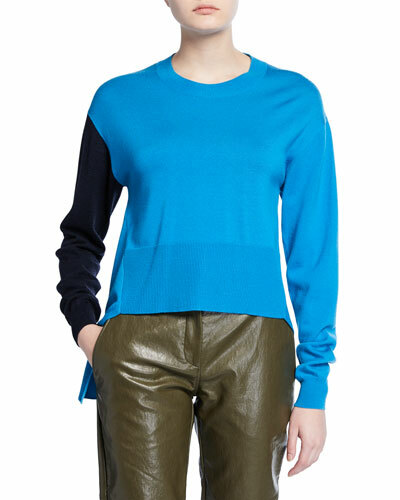 The Cédric Charlier ready-to-wear collection includes basics and special occasion garments that add color and character to any wardrobe, inspired by the world of sports. 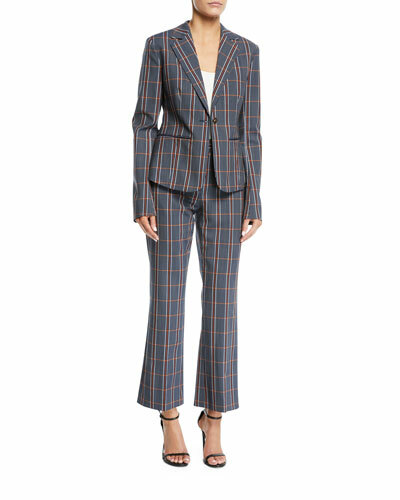 Body-conscious silhouettes and offbeat color combinations are trademarks that imbue a youthfulness to an otherwise sophisticated collection. 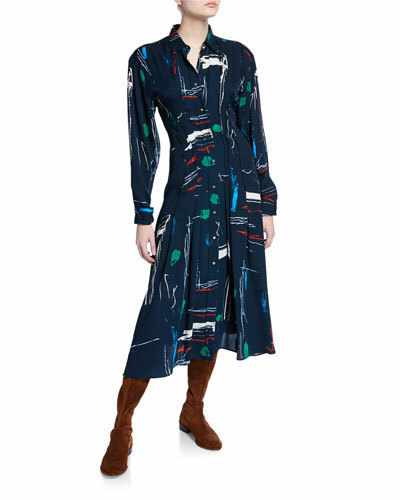 Shop a selection of Cédric Charlier dresses, jackets, pants, and more at Bergdorf Goodman. 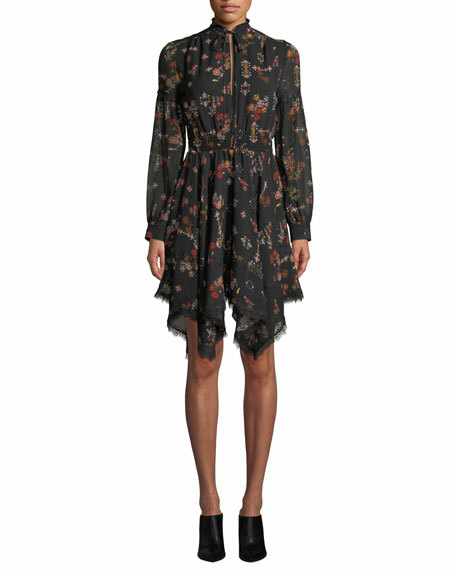 Derek Lam 10 Crosby dress in printed silk with lace trim. 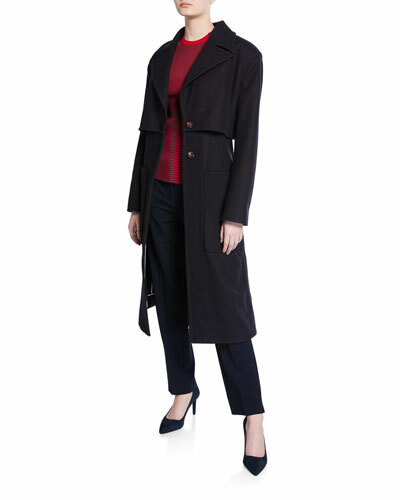 High neckline; keyhole front with ties. Long sleeves; button cuffs. A-line silhouette. Knee length. Handkerchief hem. Slipover style. Silk; polyester lining. Imported. 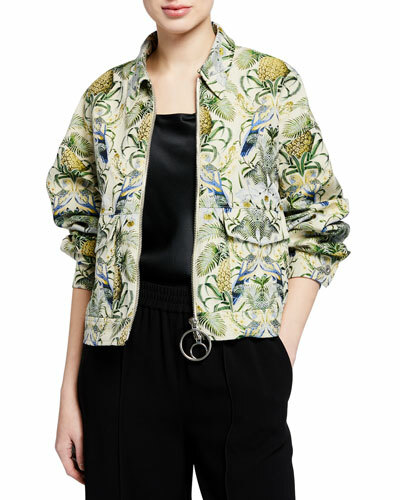 Proenza Schouler dress in printed silk crepe chiffon. Wide scoop neckline and back. Long sleeves. Smocked Empire waist. A-line silhouette. Slipover style. Flounce hem. Midi length. Lining, polyester. Imported of domestic materials. 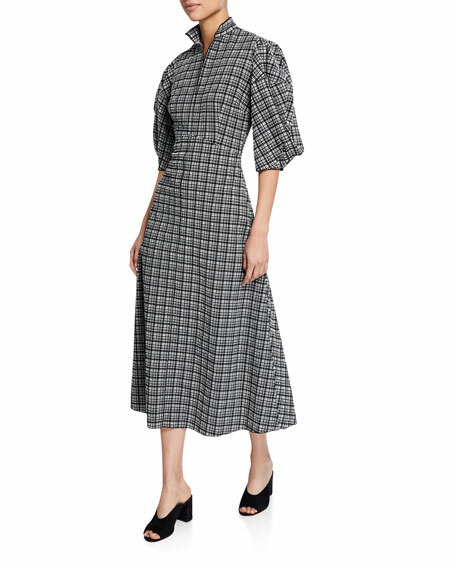 Rachel Comey "Amplus" dress in textured check jacquard. Split high neckline. 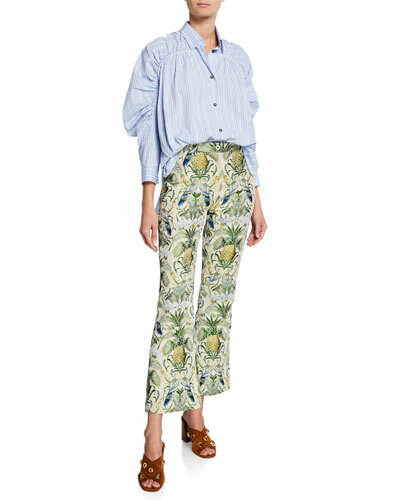 Three-quarter puff sleeves. Darted front bodice. A-line silhouette. Midi length. Concealed side zipper. Polyester/nylon/spandex. Made in USA of imported material. Rag & Bone "Brynn" rib-knit dress. Crew neckline; contrast hook front. Long sleeves. Body-conscious silhouette. Side-split hem. Midi length. Slipover style. Mercerized cotton/nylon/spandex. Imported.